The software easily recover corrupt MDF and NDF file. This advanced utility shows you all the recovered database components and supports user defined Schema as well. With SQL MDF repair tool you can recover deleted SQL Server table contents which might have been deleted either accidently or unknowingly and allows users to export recovered items selectively. This advance utility provides uses two scan options i.e., Quick Scan (for less damaged file) and Advance Scan (for highly damaged file) and allow you to save the scanned file as .str format. MDF data recovery tool allows users to preview all recovered items of MDF file including tables, views, rules, stored procedure, functions, indexes, trigger, primary key and foreign key. 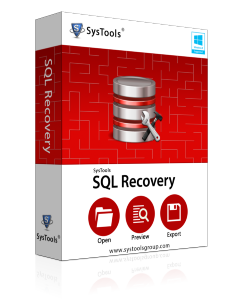 With the help of this software users can recover all the information from SQL Server 2017, 2016, 2014, 2012, 2008 R2, 2008, 2005, 2000 and also export recovered data into SQL Server 2017 and below versions. 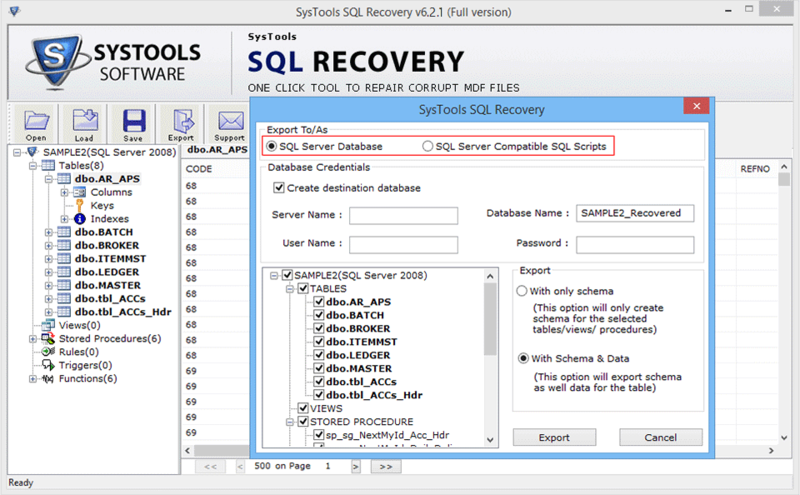 The advanced SQL MDF recovery tool recovers both Primary keys and Foreign keys. The Graphical User Interface of the software is very easy to operate even for a non technical user. The software is designed in such a way that it can detect the SQL Server version of MDF and NDF file. However, if you know the origin server version of the database then check it manually on the software panel. MDF data recovery tool helps you recover XML data file and also maintains the integrity of the recovered objects. You can export the recovered data with schema or schema and data. The software is specially designed for Windows users so it successfully runs on Windows-10, 8, 7, Win-XP, Vista and all the below versions. Both; 32 as well as 64 bit versions are supported. 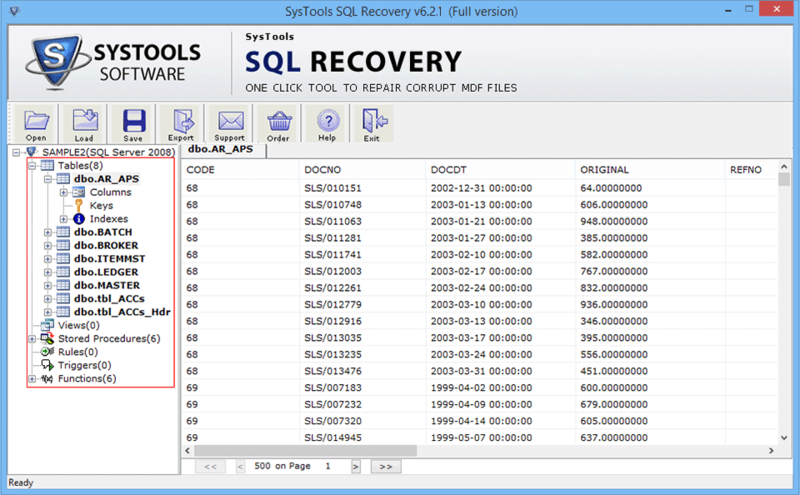 The updated version of SQL MDF recovery tool allows users to recover advance data type (Datetime2, sql_variant, hierarchyid, datetimeoffset, geography, geometry) and support ASCII and Unicode XML data type. Does free MDF recovery tool show full database preview? Yes, SQL MDF recovery freeware repair corrupt MDF file and displays all the components of the recovered database file, but cannot export them. To export recovered database file you have to purchase a licensed version of the software. Is SQL Server environment required to repair MDF database file? SQL Server installation is not required on your machine for scanning the MDF file, but if you want to export scanned files into SQL Server database or compatible scripts then you must have an SQL Server environment. Does this software repair large sized database? Yes, SQL MDF file repair tool easily scans and recovers data from a large sized database, there is no such limitation on the size of database. Can I recover multiple .mdf/.ndf files at a time? The software only recovers one .mdf file at a time, but you can add multiple .ndf files at a time for scanning. Does MDF data recovery tool recover suspected database? Yes, the software will work for all common errors, including suspected database. Can I restore corrupt database file of SQL Server 2017? 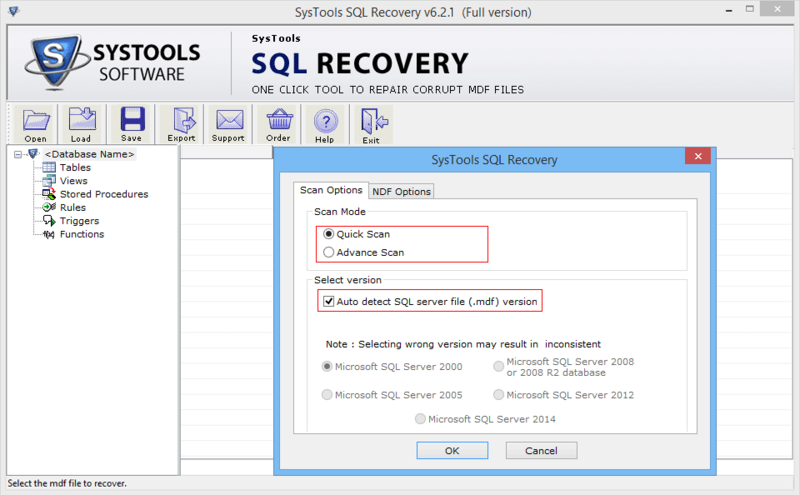 Yes, with the help of advance SQL MDF repair tool you can recover SQL Server 2017 database file. My SQL Server Database got corrupted a few days back. Although I tried manual methods to repair corrupt SQL Server database file but none of them worked for me. In the end, I used SQL MDF file recovery which brought my database back in a working condition. 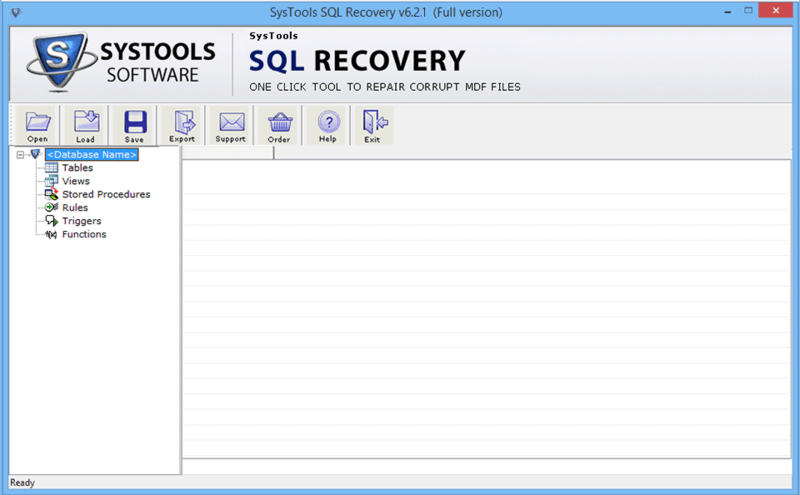 SQL MDF Recovery Tool is an easy, quick, and secure way to repair corrupt MDF file. I found many effective options in the software that made me decide for its purchase.